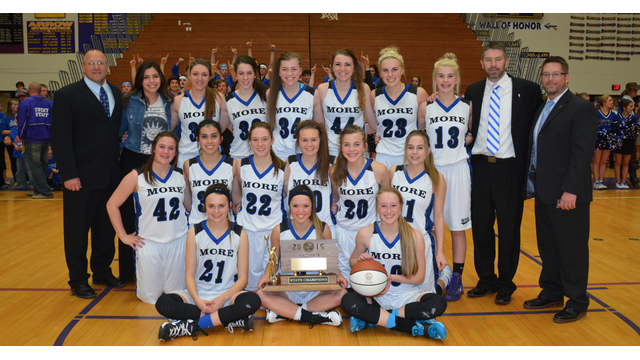 The St. Thomas More Cavaliers defeated the Elk-Point Jefferson Huskies 54-24 on Saturday night for the class A girls state basketball championship. St. Thomas More dominated the first half of play on both offense and defense as they led Elk Point-Jefferson 32-7 at the midway point. The third quarter was much of the same as the Cavaliers led through three quarters of play 48-14. The Huskies outscored St. Thomas More in the fourth quarter, but it was too little too late, which resulted in the 54-24 final. Ciarra Duffy of St. Thomas More led everyone in scoring with 20 points. Alexys Swedlund led the Cavaliers with 11 rebounds, and she also attributed 13 points. McKenzie Mennenga led the scoring for Elk Point-Jefferson with 15. She also had five rebounds and three steals. 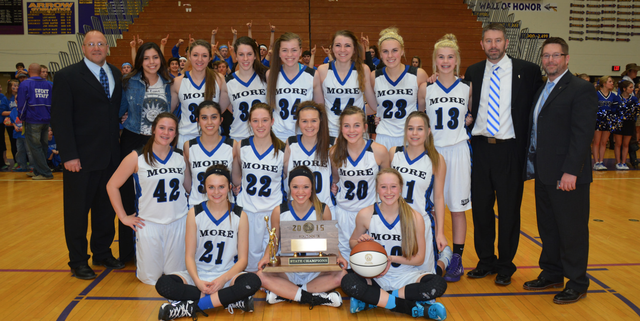 This is the second straight state girls basketball title for St. Thomas More. STM Class of 1995 Reunion End of Year News!